Metro Board members were inspired to focus on safety after watching a powerful video from the Los Angeles-area Metrolink system at a special meeting Monday. 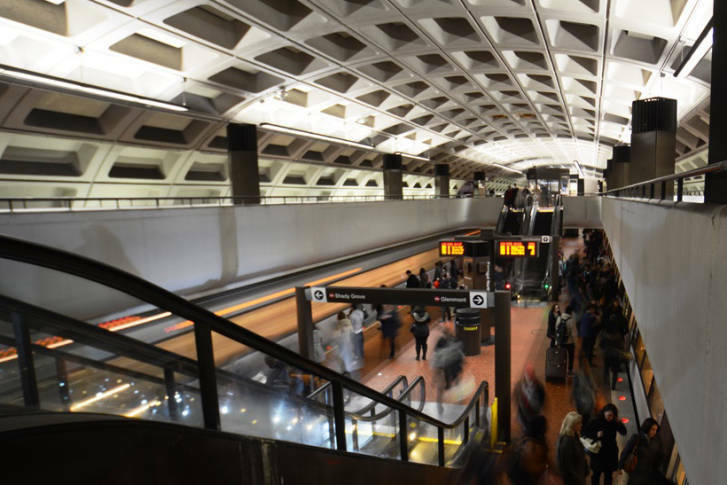 WASHINGTON — Progress on Metro’s long-promised safety culture eroded before the deadly smoke incident near L’Enfant Plaza, and significant work remains to ensure tasks are done correctly from the very top down, Metro Board members said Monday. At a special meeting Monday, the Metro Board Safety Committee watched a powerful video from the Los Angeles-area Metrolink regional rail system emphasizing the key responsibilities board members have to ensure safety is done right. The video showed the devastation and personal impacts of a 2008 Metrolink crash that killed 25 people when a distracted engineer slammed a commuter train into a freight train. “This is somebody’s mother, somebody’s dad, somebody’s daughter, and I’m responsible for their safety,” Keith Millhouse, a former Metrolink board leader said in the video. He and other Metrolink leaders presented it to the committee. Former Takoma Park Mayor Kathy Porter, who has been on the Metro Board for six years, said one of Metro’s major problems has been maintaining a safety focus after being shocked into it following the 2009 Red Line crash that killed nine people. “You cannot hold that level of attention for a long period of time, and even though there was a real focus at WMATA on safety, it sort of started to erode. I mean, we had people paying less attention to it over time. People can’t stay on a situation of high alert constantly,” Porter said. She said that reversion happened before the smoke incident near L’Enfant Plaza two years ago that killed Carol Glover. Metrolink Vice Chair Brian Humphrey said that kind of slipping is the biggest threat. To get the money from the region to make significant safety investments, Humphrey said the system had to be honest, “warts and all.” That took a pushback on Metrolink staff, some of whom told the board only what they thought the board wanted to hear. Federal Railroad Administration Chief Safety Officer Robert Lauby, a federal appointee to the Metro Board, said he is seeing some progress on a transition at Metro, but is concerned that there was still opposition to cutting back hours for what General Manager Paul Wiedefeld promises will be additional preventive maintenance. “Our general manager, Mr. Wiedefeld, seems to be making the right decisions for safety, but I think there’s room for improvement with the board members to begin to look at the different things that we do and understand that everything that we do … all have to do with safety in this organization,” Lauby said. “We’ve got thousands and thousands of people here that need to have that same attitude … and it needs to drive down to make sure that our track inspections are completed properly, that our operators think about safety first and everything else,” Lauby said. Fairfax County Supervisor Cathy Hudgins, who was Metro Board Chair in 2011 and 2012 and who has been on the board since 2004, said there is a disconnect between the importance of safety and how the board is organized. While all 16 members are on the Finance Committee, which gave preliminary approval last week to fare hikes and service cuts, only six are on the Safety Committee. “Comprehensively, finance, safety — all of those things are the responsibility for every board member,” Hudgins said. Board members regularly attend meetings of committees they are not technically part of. Eight board members attended Monday’s special meeting. The only committee member not present was federal appointee David Strickland, who has missed several board meeting days in a row. After the Metrolink presentation, Maryland appointee Michael Goldman suggested Metro should make its own video for the public and board members, explaining the responsibilities of the board for safety culture and oversight of Metro management. The responsibilities are expected to be a topic at an upcoming board retreat. Millhouse, the former Metrolink leader, said that when an agency gets stuck with poor public perception, board members need to inspire staff that they are all in it together to make the system great, help the region and provide a public service.